Back in 1938, when Burlington was a little farming community of slightly over 3,000 population, a group of young men formed a league called â€œThe Burlington Ping Pong Leagueâ€, as the game of table tennis was called in those days. In the early forties, as the game progressed and competition became stiffer, the name was changed to â€œThe Burlington Table Tennis Leagueâ€ resulting in an increased number of teams. 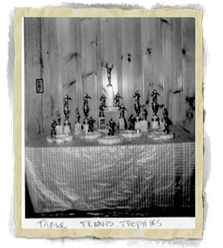 In a meeting at the Burlington Golf Club on September 14th 1971, the 125 members of the original league formed the â€œBurlington Table Tennis Clubâ€ to perpetuate the competitive atmosphere. To this day, volunteers have kept the club operating in different locations across the Burlington area. 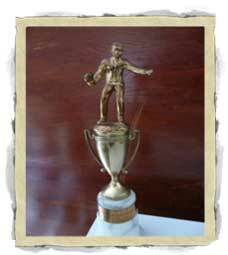 Note: Many thanks to the Burlington Historical Society for their hard work and the permission to use this picture. Click on the picture to go their site and put names to these table tennis players and pioneers.